Michael Scheuer, who was a top CIA officer and as "Anonymous" wrote critiques of Bush's GWOT policies, has performed a skit for the Air Force Association. The conceit is that he is pretending to be an Al Qaeda operative inside America, writing to update "Brother Osama" on the course of the war. First, the huge downside of this war ... We are, to put it simply, being hunted and attacked by the most powerful nation in the history of the world and despite the heavy personnel losses we have suffered, may God accept them as martyrs, the United States has not yet made the full destructiveness of its power felt. Still, its people hate us with a vengeance for the blessed September raid and their efforts against us are powered by a wonderfully, even amazingly productive economy. In addition, the American population, although far from perfectly equitable is on the whole tolerant, including toward their Muslim fellow citizens. At this point, brothers, we do not have the advantage here provided by the aggressively racist and anti-Islamic policies followed by most countries of the European Union. But on that score, as you have said Brother Iman, Allah will ensure that the cradles of Muslim homes will ultimately return Andalusia and all of Europe to the Muslim Ummah. A final point of danger that I must stress is that American military, emotional, patriotic, and economic power has been neither harnessed nor focused. The latent power of this country is enormous and we have yet to fill its impact. God willing, the Americans will continue to slumber. And Brothers, the Americans have not found serious men to lead them. God has blessed us with this reality for at least 15 years. Four years after 9/11, American leaders have not closed their borders or found out who is in their country. Truly only God could have provided our movement with such a miracle. Amazingly, Brothers, the Americans' politicians lack the moral courage to first enforce the laws they themselves have passed. God is great. They refuse to find out who is in their country and to stop illegal immigration because, they loudly assert, America is a beacon of liberty to the world that we do not want to dim. Truly, Brothers, there is nothing more beneficial to us than having American politicians prefer to have the United States be seen as the glowing beacon of liberty rather than a country of enforced laws. Long may American maintain and enhance this glow of liberty which provides a light that warms, guides and shelters Al Qaeda and the many Jihadi groups who we have inspired around the world. They do not understand our motivation. In American terms, they have not “figured out what makes us tick.” Their political leaders of both parties, as well as their media, military, economic and social elites continue to claim Al Qaeda hates America for what it believes and how it lives and not for what the United States does in the Islamic world. And you saw for yourself, Brothers, how Bush and Blair responded to July's blessed London expedition—like trained parrots they exclaimed that the terrorists hate us for our freedoms and not for what we do. Honestly, Brothers, only God's love for Muslim believers could have kept American believers so dense for so long. Mr. Scheuer adopts that favorite tactic of a certain type of intellectual, of which there are all too many at the CIA: claiming that people who disagree with him are simply too ignorant or stupid to understand the issue. Well, it isn't ignorance: Is there anyone left in America who hasn't heard the "It's our policies!" counterargument, and had occasion to think it through? I doubt it, excepting only children, the very elderly, and those who simply care nothing about politics. "Our policy in the Muslim world" is the real source of our problems, is it? Well, let's go down to the question-and-answer section with the good military men who attended the skit. What was the first question? Q: One of the tangible justifications Al Qaeda used for 9/11 with respect to the Koran was the presence of US troops in Saudi Arabia. Given that we have silently moved our troops out of that country, is there any evidence of windfall within the Islamic world? Mr. Scheuer: No, I think on that particular occasion we pulled the wool over our own eyes. Within the eyes of Muslims, the Prophet's home is the Arabian Peninsula, not Saudi Arabia. There are no States in the theological sense on the Arabian Peninsula. We simply moved from Saudi Arabia to Qatar and Kuwait, which is still on the Prophet's homeland. It's kind of been treated, at least within the websites and the internet journals of Al Qaeda and its allies as something of a joke that points to the depth of the American ignorance about Islam. So, the first piece of serious evidence on the question is: moving the troops only changed the complaint. It didn't relieve or even moderate the complaint. Yes, and if we'd moved the troops to Egypt? To Turkey? To Spain? Mr. Scheuer himself jokes about Bin Laden returning the cradles of Islam to Andalusia. It isn't ignorance or stupidity that is moving us to reject this policy as a "first cause." It's just that we've been watching and listening too, and we've drawn different conclusions. Q: Carmen bin Laden, a sister-in-law of Osama bin Laden, believes Al Qaeda is in no hurry to attack US soil, but rather can bide their time. Do you think this is true, or have we just been successful in actively fighting off another attack? Mr. Scheuer: I think we have done a wonderful job of taking out Al Qaeda leaders, but we still categorize Al Qaeda as a terrorist group. Our leaders from both parties have a lot to say about seizing 5,000 or 6,000 Al Qaeda fighters, which seems counter-intuitive—I'm not sure there's a terrorist group that has 4,000 or 5,000 fighters. The one difference between Al Qaeda and the United States, Al Qaeda and the West, Islam and the West, is the tremendous sense of patience on the enemy's side. When they talk about another attack soon in the United States they're speaking of anywhere from a year to a decade. Our idea of soon is this afternoon or next week or October 1st at the latest. Ah, yes, that's the real reason al Qaeda doesn't hit us more often: their immense patience. Actually, I think it might be their lack of capability. If they could hit us more often, does anyone doubt that they would? We've watched their bombs fall off in effectiveness everywhere outside of Iraq: 9/11, Madrid, London is the usual chain, but take a look at their allied group in Southeast Asia, Jemaah Islamiyah. They have a lot more freedom to move and train, and safe havens in parts of the Philippines. In 2002 the Bali bombing was hideous; in 2005, they bombed Bali again, and killed very few by comparison. Q: In your opinion, what is the impact of Syed Qutab’s writings on the Al Qaeda world view? The answer is useless, so I won't bother to quote it. What should be obvious here, however, is that the Air Force people here are hardly ignorant of Muslim culture. They have been studying the roots of this dispute at least as seriously as Mr. Scheuer. They've also studied the evidence about what we're doing, and how it changes the war. I can tell you for a fact that they don't just consider GitMo or Abu Ghraib a 'public relations problem.' I know that they're intensely interested in reaction, and are taking steps not only to correct problems but to create measurements so that they can tell whether what they are doing is making things better or worse. As for the treatment of the Koran, I think we all remember the military's admonition that our fighters handle it with literal kid gloves? We accept the enemy's assertion that we are too unclean to handle his holy book, rather than give cause for offense. The whole skit, and the question and answer period, is worth reading. I apologize for the light blogging of these last couple of days. I've just finished two back-to-back 16 hour days trying to sort out something for work. Today, I'm going off for a pleasant day with my wife, Sovay, and the little boy. I hope it will be great fun -- I could use some. That is a lovely and powerful image, but probably more fearsome than I hope she intends. One of the great dangers in writing a farewell poem is that you will sound like you're threatening suicide. I've had the same problem myself: what is meant as a meditation on the pain that can come from saying goodbye, reads later like the meditation of someone who forgot his medication. Well, if poetry were easy, it wouldn't be art. Since she isn't actually committing suicide, but only hanging up the blog, I assume we'll see her around in the comments section from time to time. I believe she understands she will always be welcome? Welcome to Beans the dog, now an American. Beans was the pet of the 3/25 Marines in Iraq. She's been adopted by the mother of one of those who didn't make it home. Apparently, he loved the dog -- and now, so will she. I don't regularly read Iowa Hawk. But I think I'm going to. (Also, I'm a homey of his and all). There is an important update to the post on Torture & the Senate, below. Greyhawk calls it a 20 yard punt, but that may be an understatement. I have put this off as long as I can. The families are now notified, and the obituaries have run. 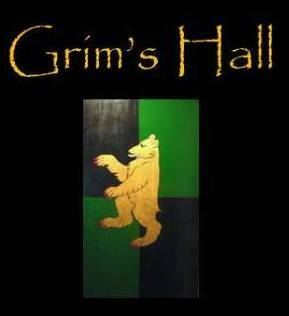 Grim's Hall mourns the passing of four warriors from our adopted 2/2 Marines. Private First Class Jason Frye. Lance Corporal Kenny leaves behind a sister, Katy, who has just completed Boot Camp. All of them leave behind friends and fellow Marines who will remember, and avenge, their loss. A documentary team from Britain's Channel Four conducted extensive research and concluded Hastings' ancestors were cheated out of the crown in the 15th century, meaning he should rightfully be the British head of state. "When the producer landed in Australia and said he was coming to see me he was very vague about what it was all about," Hastings tells AFP in his broad Australian accent. "I thought he was drunk to be honest ... then he came here and laid out his evidence, it came as a total surprise to me, it left me stunned. "I reckon I might send Lizzie (Queen Elizabeth II) a bill for back rent, the old girl's family have been living in my bloody castle for the last 500 years." The documentary's historian Michael Jones found documents in Rouen Cathedral he believes show that Edward IV, who ruled from 1461 to 1483, was illegitimate because when he was conceived his parents were 200 kilometres (124 miles) apart. Well, actually, there have been a few other families in there since 1461. Since King Mike I is a part-time historian, who volunteers at a museum devoted to his town's last armed robber, I assume he knows that. "The grandkids are pretty boisterous and were running around the house in the robes," he said. "(The program makers) were getting really nervous and saying 'um Mike, I think one of them's sitting on the crown'." R.M. mails to let us know that Legal Affairs is hosting a debate on Posse Comitatus. Our friends at INTEL DUMP will be carrying the pro- side of the argument, and have provided a place for reader commentary at the above link. Greyhawk at the Mudville Gazette noticed that the Army leads the way on human rights, at least as far as the US Senate is concerned. Interesting that in responding to claims that the Army has failed to provide guidance to soldiers the Senate has endorsed the published Army guidance to soldiers as the definitive response. In other early media coverage, both the AP and Knight-Ridder have defined the measure as "a rebuke to the White House." A DoD note on variation from FM 34-52 here. Explicit departures were authorized here. Beatings and other severe punishments were never authorized. It is not an accident that the Senate finds in the military the chiefest defenders of the Conventions. The military is not the only organization that engages in interrogations in serious matters. However, it has something not present at the CIA or FBI: roots in a culture of honor that date back centuries. The FBI was formed under Hoover, and its roots are those he planted. The CIA didn't even exist until after the second World War. It quickly abandoned its commando roots, and became an organization of pure spies. In 1949, however, with the world's ugliest war just behind them and every reason to expect an even worse one to come, military men and political leaders who had themselves been military men sat down to try to reinforce the walls that had crumbled so badly. They remembered the firebombings of Dresden and Tokyo, the Blitz, the horrors of Burma, and much more. They looked forward to a possible day when nuclear weapons might be fielded, or Soviet tanks roll across Europe. Against both the backdrops, the revision and extension of the Geneva Conventions seems like a small thing. Nevertheless, it has held. 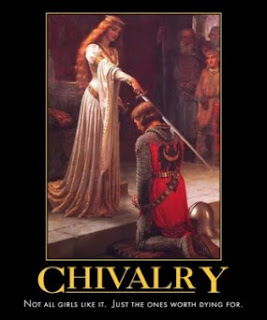 These are the rules of chivalry in war, in which all American fighting men are trained to this day. That same field manual was where I looked for information, back when the news of Abu Ghraib was first breaking in the press. In those dark days, I was arguing in favor of preserving the Geneva Conventions. I still argue for it. The Army Field Manual, I noted, lists the relevant ones in an appendix. What the Conventions seek to accomplish is to protect the innocent during wartime, as much as can be done. They do this by creating three categories. They have specialized legal names, but what they amount to is this: warriors, noncombatants, and bandits. Warriors are required to protect the noncombatants, in part by not taking refuge among them or pretending to be them. In return, if captured they are to be treated with civility even by their enemies. Noncombatants are to be protected. Bandits -- those who use the war itself, or the rules, as a means to advance their own agenda -- are to be destroyed. As time passed, foolish men without understanding joined with cunning men of evil intent. The United Nations fell under their sway, and as a living organization, has become a force that defends tyrants, blocks attempts to arm peoples facing genocide, and spreads corruption. These same men also twisted the Geneva Conventions. Using language that sounded kind but masked a harmful intent, in 1977 two new protocols were added to the Conventions. They extend to some several groups that were previously 'bandits' the protections due to warriors, even though they may hide under the cover of civilians. The United States is not party to these. Nor should we be. They undermine the protection of noncombatants, which is the purpose of the Conventions. They blur lines best kept clear. Today, many who think of themselves as well-meaning are likewise undermining the protection of the noncombatants. By extending the protections due to warriors onto criminals, you are extending the status of warriors onto the criminals. The logic of the Conventions requires that the innocent and the righteous be protected, and the vicious be destroyed. Protecting the evil was not part of the plan. It undermines the plan. Where the problem lies is in ensuring that the technique as used in the approach meets appropriate legal standards. The cure for that is not Congressionally-designed rules, but rather an architecture that places oversight and control points to ensure that techniques used during an approach are appropriate. The Army's getting there (all the major interrogation facilities include organic legal assets) and a Congressional push to enhance such an architecture is a better approach. Froggy is opposed to it on the grounds that it will compromise effectiveness. His approach seems to be that scaring the hell out of people isn't torture. This sounds like an approach that would tend to blur into real torture at the margins ("You're just going to scare him, right?" "Pain is scary."). Special Operators, however, do their "operating" at times and in places when the support structure for the Conventions is not available, and under conditions of extreme danger in which the ethical issues are different. In ethics, a decision cannot be immoral when you have no other reasonable choice. That is something a court martial would consider, should it come up. The Senate is acting well in attempting to reinforce the adherence to the Conventions. It is acting badly in enacting a poorly-written law that is likely to confuse the issue rather than clarify it. It is also acting badly by further blurring the lines that the Conventions drew between warriors and bandits. 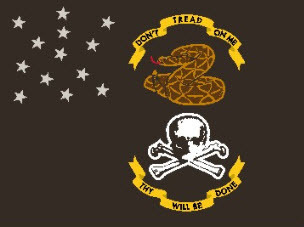 Like Senator McCain, I want -- and I believe the military wants -- an America that is morally better than any foe it may meet. I think real strength rises from that, as he himself demonstrated in the POW camps. It has been my experience that there is no stronger defender of the Geneva Conventions of 1949 than the US military, and for good cause. They were written by brothers in arms, who understood and shared the same ancient code of honor. Senator McCain is wrong, however, to attempt this legislation. Being morally better than our foes means more than refusing to do violent things. It means taking moral issues seriously. We have to recognize that, in life generally and in war particularly, you get more of what you successfully protect and less of what you successfully punish. We must keep an eye toward protecting the weak and the innocent, as well as the honorable and the just. We must work harder to punish the cruel and the wicked -- among our own forces, when they appear, and among the enemies of civilization whom we fight. We must keep the lines clear between them. It is our enemy, not us, who benefits from the loss of clarity. UPDATE: Greyhawk resolves the question I wondered about in the comments. McCain's law makes the Field Manual the law of the land, and 'doesn't set it in stone,' but allows the Army to revise it at will. This amendment would establish the Army Field Manual as the standard for interrogation of all detainees held in DOD custody. The Manual has been developed by the Executive Branch for its own uses, and a new edition, written to take into account the needs of the war on terror and with a new classified annex, is due to be issued soon. My amendment would not set the Field Manual in stone – it could be changed at any time. Emphasis added, and it needs to be added. Am I to understand that the Senator intends to delegate to the Executive branch complete power to rewrite American laws governing torture and detainees, and also classify those laws? Are we to believe, Senator, that this is the road to the moral high ground? You might enjoy this young lady's blog. She's married to a corporal in the artillery. Hat tip, of a sort, to Daniel, where I noticed she'd left a mention in his comments. This morning dawned clear and bright, but for the last several days we've had a constant downpour. It was yesterday, the fourth day of rain, that I decided to go hiking in spite of the weather. I drove down to the White Oak Canyon, and found that the place was almost deserted. I was not surprised. The rain was limiting the number of people in the canyon in two ways. First, not everyone likes hiking in continual rain. Second, the road was flooded out. I had to put the truck in 4x4 Low and cross a road that had become a ford (unlike the truck, which is a Chevy). The water was moving fast, and up over the tops of the tires, but the truck didn't seem the least bit bothered. It turned out to be a beautiful hike. I encountered on the trail a pair of Rangers, who were checking out the fire road (no danger of a fire yesterday!) to see if it had washed out. It had. If any of you are looking for a good hike, and you happen to be in the area, this is a very nice one. I actually didn't go out the canyon to the waterfalls yesterday, but did a section of the Old Rag instead. There are maps of the whole area at the NPS site, here.